Microsoft has a soft spot for wild animals in their habitats – among the mobile slots games they have released have been Untamed Bengal Tiger, Untamed Wolf Pack, and the unmitigated terror of the Untamed Panda Bear. Now they have honoured the great hunter of the sky, the eagle, and put its adventures in your hands. 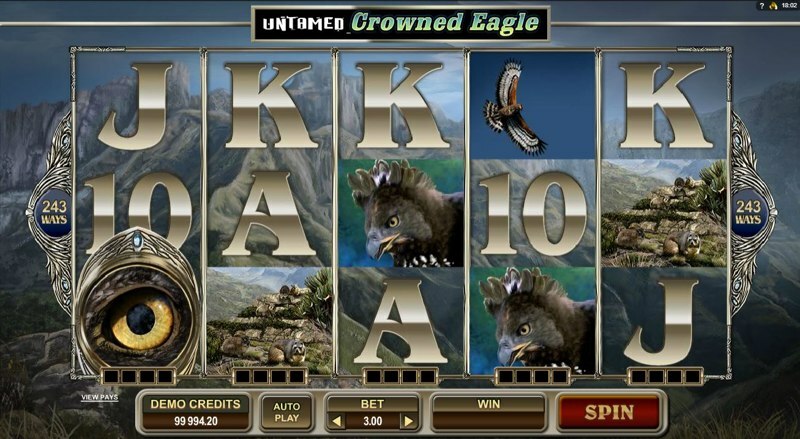 Untamed Crowned Eagle is a five-reel slot that pays out on the 243 ways Microgaming has discovered to award prizes. There is no progressive linked jackpot but there are free spins and bonus features to hunt. An autoplay option keeps the eagles soaring non-stop. The crowned eagle is a denizen of sub-Saharan Africa where it is particularly well-suited. Microgaming presents the crowned eagle in photographs – in flight, up close in profile and caring for eaglets. The reels are translucent and their mountainous habitat is a constant reminder of the untamed world where the crowned eagle lives. 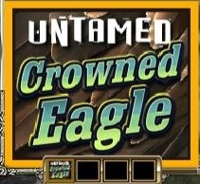 Untamed Crowned Eagle also offers a Gamble Feature on any win. If you so choose to risk your winnings this way a new screen will appear and you have the ability to increase or decrease your payout and corresponding risk. If only the crowned eagle gave its prey that kind of sporting chance. Game play is routine enough with the exception of the Collect a Wild feature. Each time the Wild appears it drops into one of four placeholders below the reels. Once all four have been collected the triggering Wild will expand to fill the entire reel which will remain frozen for four free spins. Each spin empties a box and prepares it to be filled again. The Eagle’s Eye is the Scatter and those eyes mean business. 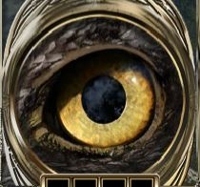 When at least three of them are staring out at you a bonus round of 10 free spins will launch with a random multiplier up to 10X attached to all wins. There is also a Lucky Nudge in effect where you can just push a recalcitrant Scatter that is almost out of sight onto the reels to get those free spins.